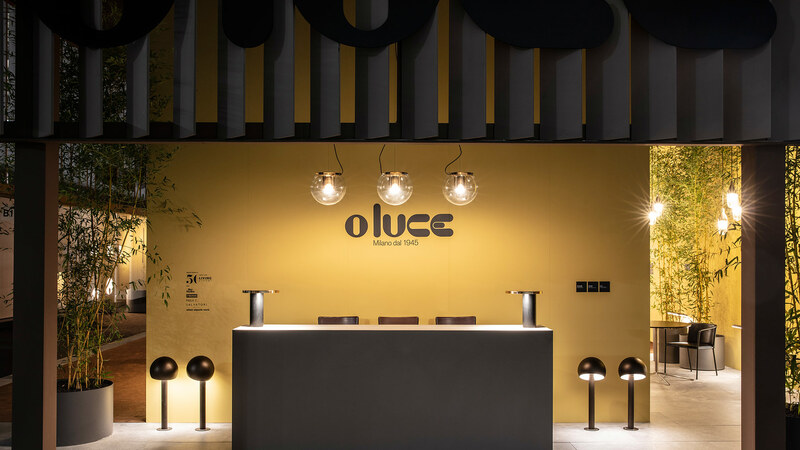 Oluce returns to Euroluce 2019, taking centre stage in Pavilion 9 at stands B11 – B15. 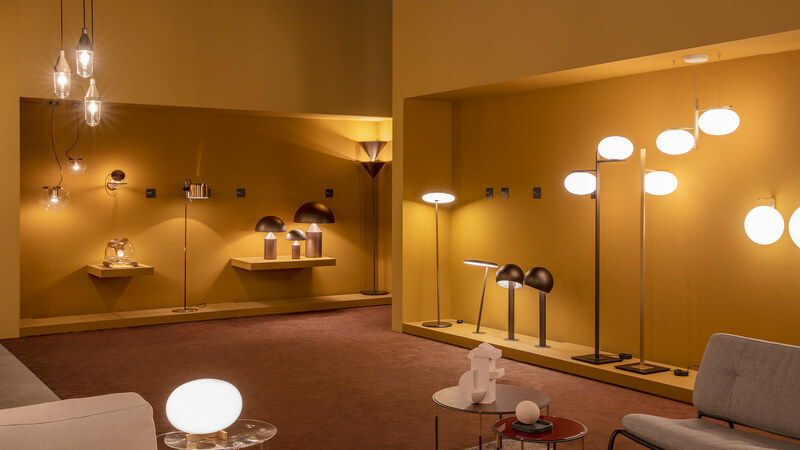 However, at the same time, many of the brand’s lamps have also been selected by stylists and designers to light up and enhance the stands of some of the most famous furnishing and décor brands at the Salone del Mobile, as well as during the events and displays set to brighten up Milan during Design Week. 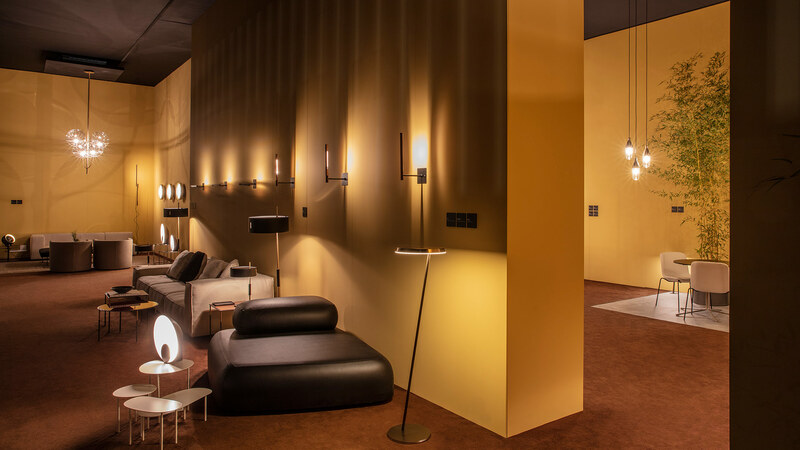 In Pavilion 7, at Stands E15 E27 F18 and F20, Minotti chooses two grand classics: Atollo 235 and Atollo 237 by Vico Magistretti. 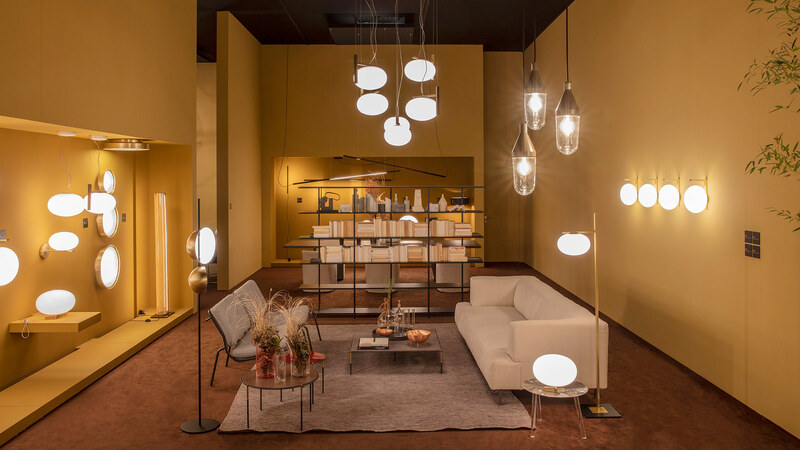 Created in 1964, The Globe table lamp by Joe Colombo has been chosen by Flexform in Pavilion 5 – Stands E05 E11 F02 and F08, together with the Las floor lamp by the studio Mist-o, Atollo 233 by Vico Magistretti and the Superluna table lamp by Victor Vasilev. 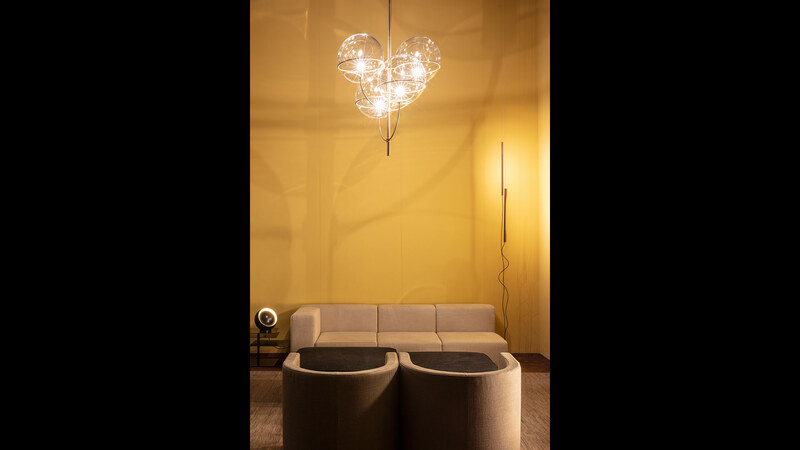 These are joined by the Plume light by Pillet and Kin 479-478 by Francesco Rota. The very popular and always trend-setting Poliform in Pavilion 5, stands A09-A11-B02-B10 has also chosen the iconic forms of the Atollo 233 design by Vico Magistretti. The Frag stand in Pavilion 16, Stand D51 – D55 features Sonora 490 and Atollo 233 by Vico Magistretti, Coupè 3321 and Coupè 3320R by Joe Colombo, and finally, Denq by Toshiyuki Kita, all chosen in the white finish for a total white look. 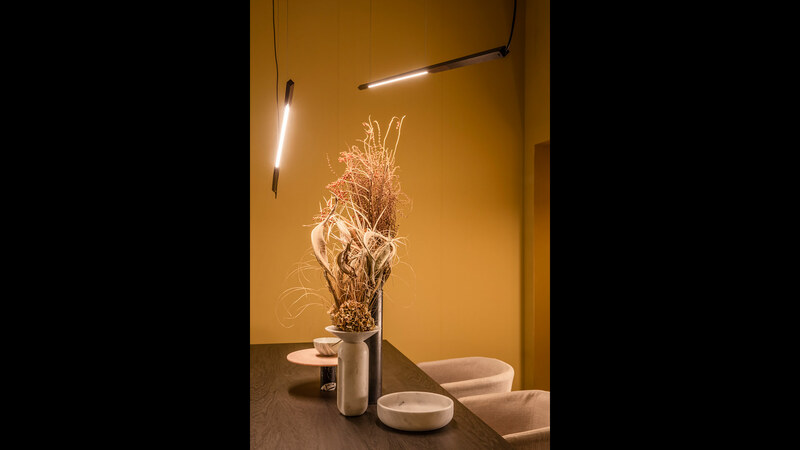 Potocco has also picked Oluce to light up its space in Pavilion 7 – Stands L19 – M20. 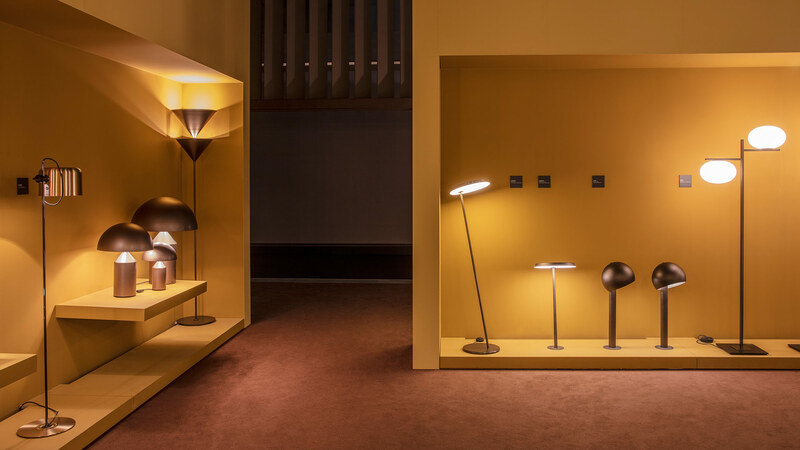 The floor lamps selected for the occasion include the arched Coupè 3320R and the Coupè 3321, both by Joe Colombo, together with the Superluna light by Victor Vasilev, Pascal by Magistretti and the gold-coloured Switch lamp by Japanese designer Nendo. 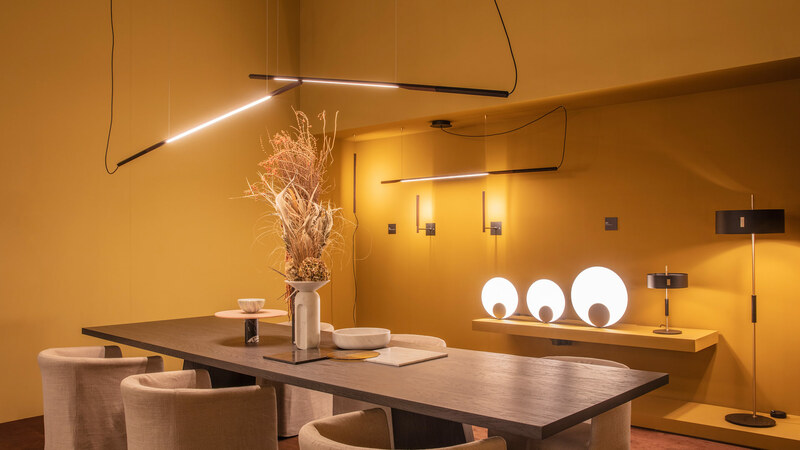 The same Switch lamp, again in the gold finish, is also used as a table lamp alongside Coupè, Atollo 233 by Vico Magistretti and Alba by designer Mariana Pellegrino Soto. Instead, the outdoor environment is illuminated by Francesco Rota‘s Pill–low design, and the Stones lighting elements by designer duo Marta Laudani & Marco Romanelli. 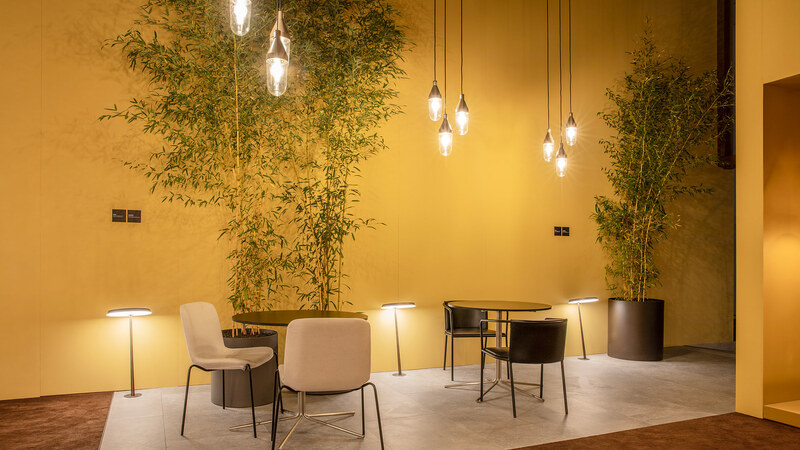 Additionally, this year Oluce will also illuminate the Red Lounge – a meeting point and haven of relaxation inside the exhibition for selected journalists, designers, architects and guests – with the Sonora lamps by Vico Magistretti. 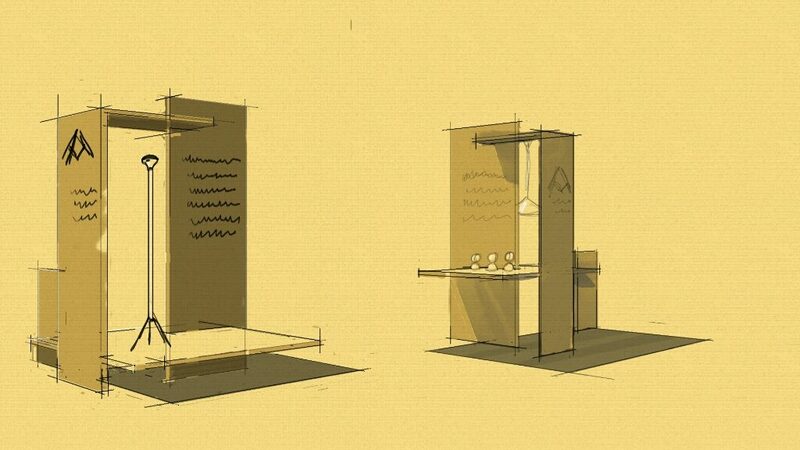 A thoroughfare for regular visitors to the Salone is the Elle Decor stand in Pavilions 5/7, Stand 24. This year it will be enhanced by the Coupè 1158 light by Colombo and the Atollo 237 light by Magistretti. 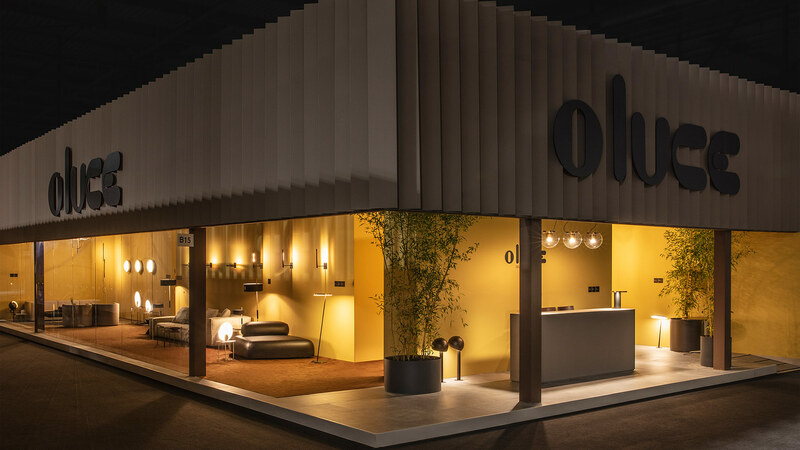 Oluce will be present in the exhibition “Elle Decor at Work – The Evolution of Workspace”, an initiative based on an idea by Elle Decor Italia and curated this edition by DWA Studio (Exhibition Design), AKQA (Interaction Design) and Marco Bay (Landscape Design). 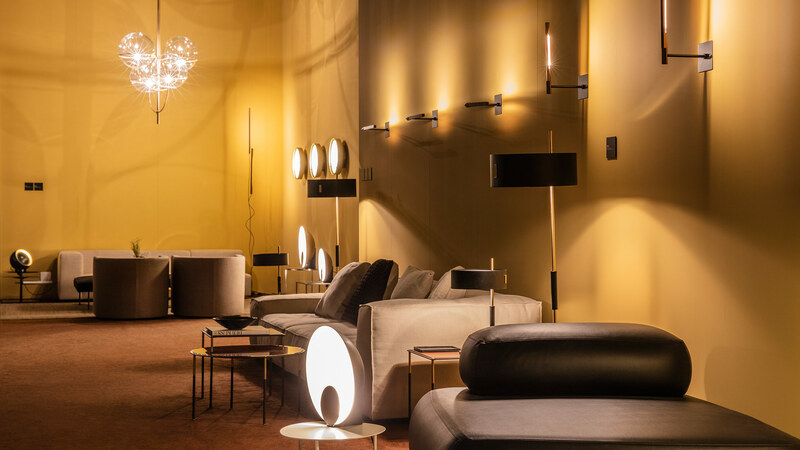 Some of the most iconic pieces from the Oluce catalogue have been chosen for the occasion: the Zanuso lamp by designer and architect Marco Zanuso, as well as the Spider and Coupè 3320, both designed by Joe Colombo. 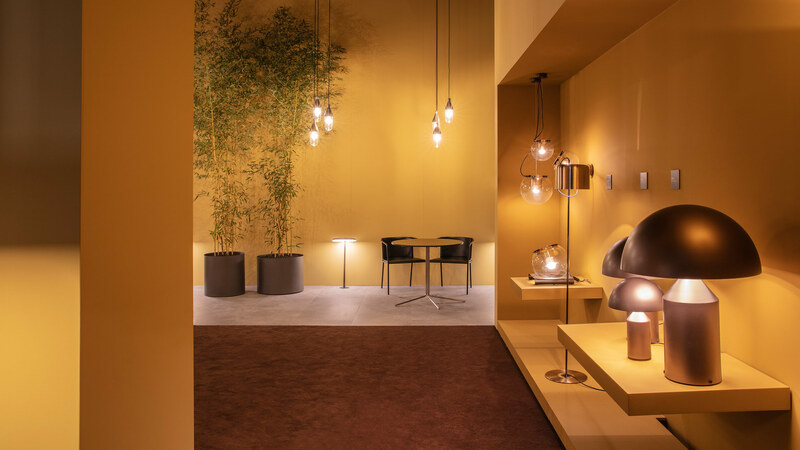 Instead, the more contemporary collections include the Berlin 720 light by Christophe Pillet, Lutz by Lutz Pankow and Superluna by Victor Vaisilev. The breath-taking Belvedere location on the 39th floor of Palazzo Lombardia will instead host an exhibition organised by ADI and the Lombardy Region dedicated to the “Luci del Compasso d’Oro”, which will spotlight the winning solutions awarded the Compasso d’Oro. Spider by Joe Colombo and Atollo 233 by Vico Magistretti have been chosen for the exhibition, both previous winners of the prestigious design award. “Cose Normali – Abitare con Vico Magistretti” (Normal Things – Living with Vico Magistretti), an exhibition curated by Claudio Rosati at the Triennale di Milano, celebrates the great Magistretti. On this occasion there will be many Oluce pieces on display, all created by the famous designer and architect with whom the brand enjoyed both an exceptional professional relationship and a close friendship for many years. 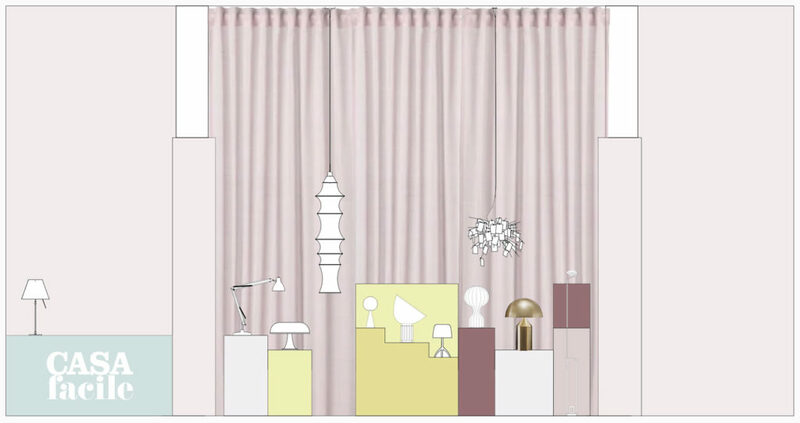 In the heart of the Innovation Design District, on the ground floor of the Coima building, the Studio Pisk display created for CasaFacile Design Lab for the Fuorisalone, will represent the theme of Hospitality, expressed in two different forms: CoWorking and CoLiving. The co-working area will include a Light gallery where Atollo, the iconic piece by Vico Magistretti will be present.